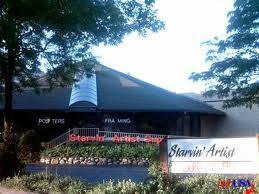 Starvin' Artist picks up and drops off art supplies, artist materials, and custom picture framing in Highland Park. Introduction to Highland Park Item Bullet Introduction to Highland Park Highland Park is geographically situated along five miles of beautiful Lake Michigan shoreline, just 26 miles north of downtown Chicago. Highland Park is a vigorous community that offers an unusual wealth of beautiful parks, recreation facilities, and individual centers for youth and seniors. Its lovely homes range in style from Frank Lloyd Wright to classic Victorian. A richness of history and culture come together in Highland Park's internationally acclaimed Ravinia Festival, where the world's great artists of music, dance, and theater perform each summer. Nationally and regionally honored schools and an impressive library offering more than 190,000 volumes and 14,000 audiovisual materials provide residents quality educational and cultural resources. Churches and synagogues represent major religious denominations. Expert medical care is available at the 325-bed Highland Park Hospital. The downtown business district, a focal point for shoppers, has won many awards for its creative design. Two additional shopping areas and various convenience outlets serve the city's shopping needs. This All America City has received two national volunteerism awards, earned a Presidential award for excellence in education, has eight times been cited as a Tree City, USA, and has received gold medals for its Park District. An atmosphere of community pride is created by involved residents. The Park District of Highland Park maintains about 600 acres of parklands, including three parks located on Lake Michigan. The community enjoys an indoor ice rink facility, many excellent tennis courts, and racquet ball courts, as well as the beautiful 96 acre Heller Nature Preserve. Convenient access Modern Metra commuter trains travel to and from Highland Park twenty-five times a day. An express ride to Chicago takes just over 30 minutes from any of the four stations in the community. O'Hare International Airport is 18 miles away, with limousine and ground transport services readily available. Interstate 94 and U.S. 41 are broad major north-south routes which make auto travel convenient for Highland Park residents. Five east-west arteries cross the community, connecting with suburbs to the west.